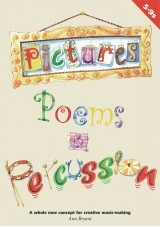 Pictures, Poems & Percussion 2 is the exciting new follow-up to Ann Bryant’s bestselling Pictures, Poems & Percussion. This beautifully illustrated collection of poems for kids will inspire creativity, spark the imagination and open children’s eyes to the art of composition. Buy 2 Pictures, Poems & Percussion titles for ONLY £40 saving £9.90! Simply order online or call us on 020 8481 7200. As the name suggests, Pictures, Poems and Percussion 2 is a collection of poems for kids that incorporates pictures and percussion to create a unique learning experience. 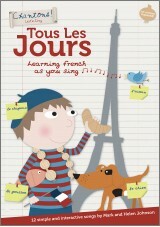 This Big Book includes a CD where the poem is read and initial examples of percussive accompaniments are given. Each poem comes with its own set of music-making activities, to address the requirements of the composition strand of the National Curriculum for Music. Children can use the wonderful illustrations in Pictures, Poems and Percussion 2 to explore different sounds in relation to the images they see, helping develop their music-making skills. Literacy and art based activities can also be developed based on the images and sounds children have seen and heard. You could even use the poems to form the basis of a creative writing exercise. 12 poems with suggestions for musical ideas to get you started!